YOUR ABUSIVE PARTNER DOESN’T HAVE A PROBLEM WITH HIS ANGER; HE HAS A PROBLEM WITH YOUR ANGER. Lundy Bancroft. As a survivor of Physical and emotional abuse I relate to domestic violence in so many levels. Abuse is one of the most devastating things a human being can ever endure. The Physical abuse all started on one evening coming home from work. The house was dark, so I thought there was no one at home, I tried opening the door with my own set of keys, they wouldn’t work because the door was unlocked. This was shocking as I thought no one was at home because the lights were not on. As I entered the house I felt a hand grabbing me, out of shock I screamed and I was told to keep quite. I did what I was told with fear running through my body, suddenly the lights were on and to my surprise the person holding my hand was my boyfriend. He began by asking where I was from and I explained to him that I was coming from work, his question took be by surprise because he knew where I had been and what time I usually come back home from work. Yes there were times when he would yell at me and say things like “you are stupid”,” you are a whore”, and I would accept the horrible things he would say because I believed he didn’t mean those things. After explaining to him where I had been, he got so angry that he slapped me and I fell hitting my head on the corner of the couch, while I lay there he began kicking and cursing me at the same time. When he was done he left me there, I managed to get up and made my way to the bedroom to wash up. I was in too much pain and I couldn’t understand why he would do this to me knowing that I was carrying his child. My misery began then and I lost a life because of all the abuse, I lost all hopes of getting out of the relationship because of the words he would use to insult me such as “worthless”, “ugly”, “unwanted” or just “useless”. It didn’t end there, this proved to be just the beginning of the life I had to live for the next 5 years living in fear everyday. I was ashamed of going to work, or to school because of the bruises on my face. I ended up quitting both school and work because of the looks I would get from my peers and colleagues. Friends would advise me to leave him, they would say I should report him for causing me all this pain. Everyday of my life was just a nightmare, I couldn’t sleep and he would see this and ask what was wrong I would say nothing because I was scared to tell him the reason. It got worse when he would force himself on me, telling me that I’m his and no man would want me, I would cry and beg him to stop and he would hit me like I was not human being. In all of this misery I fell pregnant again, this time it was different he would hit me but would never hit me on my stomach. He would call me names and tell me the child I’m carrying is not his, and I must just kill it. I don’t know how I made it through the pregnancy, but I did give birth to my first son and that was the happiest time of my life carrying him for the first time in my arms with no resentment whatsoever towards him. My son became my escape from the miserable life I was living, he became my smile, my joy, my happiness and most of all became my peaceful heaven. I told myself now is the time to stand up for myself and walk away because now I was a mother to someone and I would not want him to grow seeing what was happening to me. I didn’t want him to become like his father. Walking out was one of the difficult things I had to do, I loved that man with everything in me, I worshiped him and he was my everything and more. I finally did one afternoon while he was out with friends, it was a Sunday afternoon and I had packed all my clothes the previous night without his knowledge. I took my son and the little bags I could carry and called a friend to come pick us up and that is how we . It wasn’t easy getting back to my old self it took everything in me to get better, with support from my family especially my mom and close friends. It was a long journey, seeing psychologists, going in and out of hospitals and mental hospitals. The emotional damage was bigger than anything, but here I am being able to write about it which I believe that it means that I’m no longer a victim but a survivor. What is Domestic Violence/ Abuse??? Domestic Abuse has different meanings to different people, Women’s Aid defines domestic abuse as an incident or pattern of incidents of controlling coercive, threatening, degrading and violent behavior, including sexual violence, in the majority of cases by a partner or ex-partner, but also a family member or someone who looks after a person. Domestic abuse is very common. In a broad majority of cases it is experienced by women and is caused by men. Coercive Control– This basically means a pattern of intimidation, degradation, isolation and control with being threatened, use of physical and sexual violence. Psychological and emotional abuse– This involved the us of curse words, insults towards your body, everything you believe in about yourself, being told you are worthless. All sorts of dirty words and names are given here. Harassment and stalking– This is where people tend to follow you around, check for your every move. Harassing you sexually or saying inappropriate things to you. Domestic abuse is a gendered crime which is deeply based in the societal inequality between women and men. It occurs because she is a woman and happen disproportionately to women. Domestic Abuse most likely to happen to woman caused by man, yes man as well do experience abuse but not as often as woman. Any woman can experience domestic abuse it doesn’t matter which ethnic group you come from, race, sexuality, class or your disability. It becomes difficult for people who experienced oppression, discrimination to open up about domestic abuse or any kind of abuse, they find it difficult to seek help. Ways you can protect yourself from Domestic Abuse. Identify your partners use and level of force so that you can assess danger to you and your children before it happens. Try to avoid an abusive situation by leaving. Try to find safe places in side the house where there will be no weapons and there are always ways to get away or run. Should there be arguments try and go to those places. Never run to where your children are, your partner might try to hurt them to get to you. If the beatings persist try to run to a corner and curl up into a ball with your face protected and arms around each side of your head, fingers entwined. if possible try to get access to a phone at all times and call people you know. Don’t be afraid to call for help or run to the nearest women shelter. 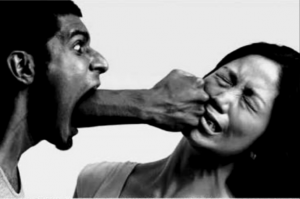 Avoid words that might trigger the abuser to be violent towards you. Teach your kids that violence is not right, and if they are in a violent situation they must call help immediately. Practice your perfect escape without making your partner aware. Try not to wear long jewellery and scarves to a void being strangled. Call a domestic violence hotline periodically to assess your options and get a supportive understanding ear. Hope the above tips will be very useful when dealing with a violent partner. You can comment with some more tips.